One of the privileges, and sometimes curse, that I have as a manager for a ministry is to receive a great deal of books from authors and publishers looking for my review, recommendation, and potential interview. The problem with all of this is that I tend to get more books than I can read, and far more than I have time to review. In the end, I see this role as a privilege to offer council to the reading public – to inform them of great books, warn them of potential problems, and critique diviations from orthodoxy. With these reviews I simply want to point out those which you might want to consider, others which are helpful but not without fault, those which have no relevance at all, and others which contain grievous errors which should be avoided. This is a short, hardback book which should really be considered an essay. It is less than 50 pages, including picture and large print. While I wouldn’t recommend that it’s well worth the retail price of $15, I do think that the message is well worth considering. 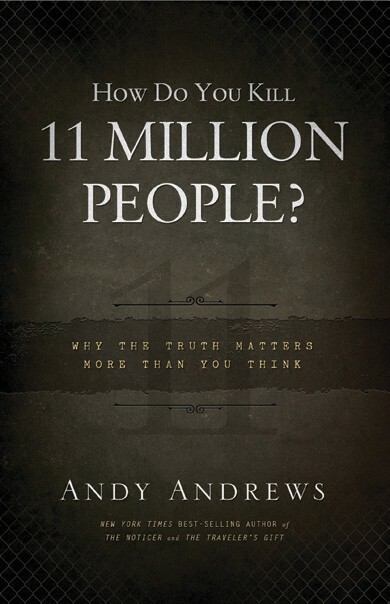 Andrews is a Christian novelist with eloquent literacy, and though he takes the middle path to speak to a wide audience, his point is straight and narrow. “How Do You Kill 11 Million People?” asks the question from a historical perspective of Hitler’s legacy and poses this tragedy as an important lesson for us to reflect upon and learn from today. The only way we won’t relive the negative examples of those who have gone before us is if we understand what lead to their demise. Andrews points out that although we may never live through a holocaust, we are acting very much like the German people who allowed Hitler’s regime to kill 11 million people. I would recommend this book to those interested in understanding what we can learn from the mistakes of our recent history, although, the books Andrews references in his bibliography might be a more thorough resource. To be honest, I don’t even know where to begin with Wilkinson. I don’t know anyone who would consider him a sound theological resource for Christian orthodoxy, but his message is one that certainly appeals to the vast majority of Christians searching for a warm and fuzzy feeling. This is another prosperity gospel based book with nothing new to offer. A short 122 pages, the content is redundant and simple. 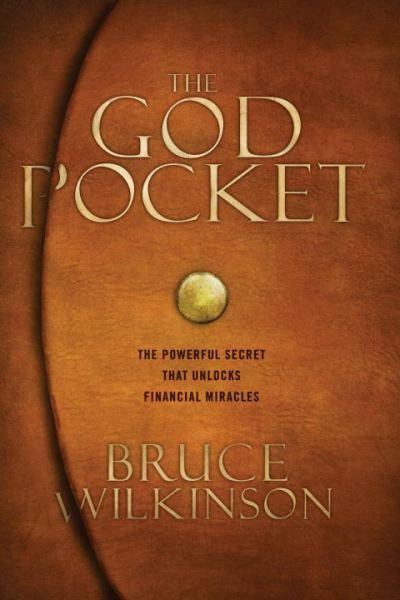 “The God Pocket” is nothing more than the contemporary idea of ‘passing it forward’ where you do something nice for someone with the hopes that they will keep the momentum. The book tries to add a Christian spin on it while providing no solid reasoning from Scripture. Here is why it’s wrong. The premise surmises that the problems with the world are financial and felt needs. The message of the book lacks the power of the gospel by substituting material concerns with God’s love. “God wants you to have that watch,” Wilkinson declares to a girl who can’t afford it. This gives the impression that God is mostly concerned with our happiness and not our holiness. The second problem is that it basis God’s limitation on people who are in the way of His benevolence. “God is asset rich – He owns it all. But He is cash poor – all His funds are in our hands.” This sort of reasoning is not consistent with good theology. In fact, it’s heretical to His nature. God is not limited in doing good. The premise suggest that God wants you to have that SUV. It’s only because people are selfish that you can’t have it. The third problem is that his strategy is to maximize the givers experience. The point of putting money in the ‘God pocket’ is to emotionally separate from the gift so that giving it away is not a sacrifice. This results in emotion based moralism and not the sort of dedication associated with sanctification. The fourth problem with the book is that the premise is built on giving money away, which conventional wisdom tells us can be counter intuitive. Never give money to someone living on the street. You can offer to buy them food, but never give them money. After working in the projects for several years, my parents asked what organizations they could give their money to in order to help the poor. I told them, “Don’t give them money, give them your time.” Time is much more valuable and rewarding. But you’re not going to see a prosperity gospel promoting that. Fifth, Wilkinson’s argument balances between divining of spirits and the Spirit’s leading without biblically distinguishing the differences. One is heretical and the other biblical. Without further explanation, Wilkinson’s premise treads through dangerous territory. When teaching how to distinguish when the Spirit nudges, Wilkinson does an insufficient job at providing biblical parameters. I rarely make mention of books that I wouldn’t recommend to anyone, but this is one of those books. There is nothing worth gleaning and too many areas where Wilkinson is misleading. Don’t read this book. One of the most deplorable characteristics of our society is our uncanny ability to be emotionally led to trust in shallow spirituality. I cannot fully express the anguish I feel when I see Facebook posts which diminish biblical truths into pithy statements and put it on a picture with a cat. But this is what our faith has boiled down to – silly stories with no real significance. 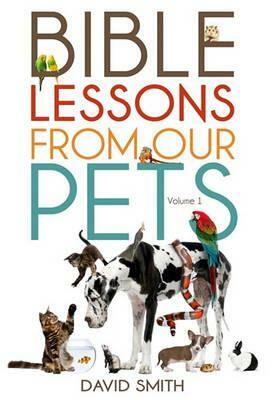 The book, “Bible Lessons From Our Pets,” is a collection of stories from multiple people and the animals in their lives. While superficially there is nothing wrong with an illustration about a creature, some are even funny and entertaining, they themselves should not be the focus of our faith. I understand that I am judging this book from a preferential bias against the plethora of content on the internets about cats, but I do want to make an important distinction: What is the powerful force behind these stories (and any illustration for that matter)? The chances are, it connects with our emotions more than our intellect. While this is not inherently wrong, it’s not necessarily fruitful in developing a sound, deep, and functioning faith. So while I wouldn’t recommend this book to anyone, I really don’t have any theological warnings either. I just think the book itself is irrelevant and people who get caught up in it are wasting their time with silly stories that barely skim the surface of spirituality. I recently read this book for a class on orthodoxy and hermeneutics. And while I could offer a very critical review of the book, I would much rather explain its potential weight and value. 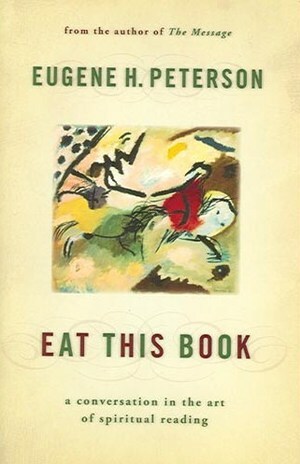 “Eat This Book” is Peterson’s second installment of a five part series on spiritual theology. More of a conversational journal, the book centers around the importance of reading and reviewing a text in order to internalize it’s meaning. Peterson is a very eloquent author who is extremely gifted in articulating words in a picturesque way. After reading it, I was inspired and hungry to get into the Bible. But while Peterson is a passionate writer, I wouldn’t recommend his book without certain warning. How you read a book is certainly important and plays a major role in what you get out of it. Many people do not know how to read the Bible. Furthermore, many people do not approach the Bible without a certain set of presuppositions. Peterson is not exempt. He tells the story in the book about what led him to paraphrase the Bible and how it came about that he wrote “The Message” (A complete paraphrase of the whole Bible in common, everyday language). The problem is that Peterson would consider his paraphrase a translation, but if it is a translation, we obviously have two different opinions on accuracy. The risk with any translation is adding, subtracting, or narrowing a particular meaning from the original author’s intent. While Peterson’s intentions may be pure, his process does not make proper provision for his own limitations. In the end, Peterson’s premises bypass proper syntax in translating the text. This does not mean that there is nothing of value from Peterson’s book or paraphrase, but it should be perceived with awareness of it’s limitations and not accepted as a spiritual authority. Where you begin matters. If you think of the Bible allegorically, your paraphrase will reflect personal identity more than contextual accuracy. With that said, I think there is a good deal of valuable take-aways from the book, but I wouldn’t recommend it to anyone without a clear understanding of orthodoxy and hermeneutics. Gallery | This entry was posted in Theology and tagged book review, Heresy, Missiology, Moralism, Politics, Theology. Bookmark the permalink. Hi Adam – I know you’re inundated with books for review, but I’ve noticed your comments about the prosperity gospel and I’m wondering if you might be interested in joining our blog tour for the new book Exploring Prosperity Preaching: Biblical Health, Wealth, and Wisdom by homiletics professor Dr. Debra Mumford. If you’d like to learn more, please email me at the address below. Thanks!